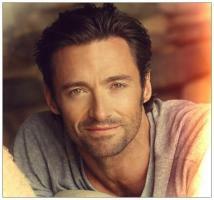 See the gallery for quotes by Hugh Jackman. You can to use those 8 images of quotes as a desktop wallpapers. I never wanted to go longer than five years off the stage. Not necessarily musicals, but just doing a play or something. I'm not a loner at all. I've dreamt of being in a movie musical for a long time. 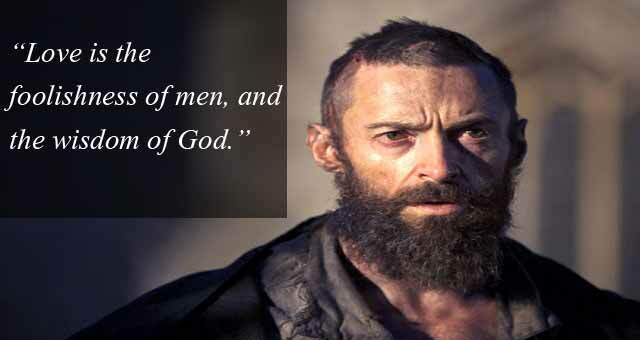 For some reason I never even thought 'Les Mis' would be possible. One of things I'd love to do one day is a Shakespeare with Trevor Nunn. I've done musicals with him, but never Shakespeare. There's no one better. 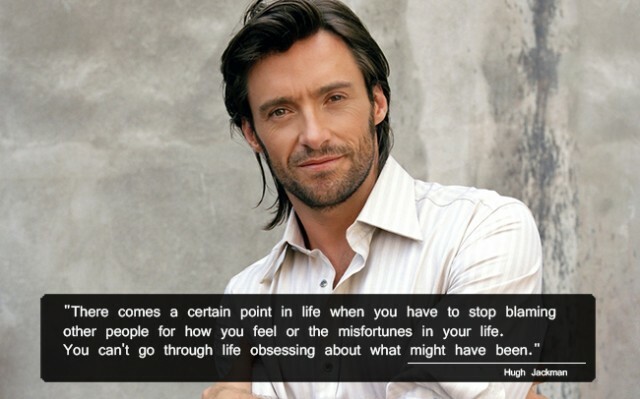 Much more quotes by Hugh Jackman below the page. As a boy, I'd always had an interest in theater. But the idea at my school was that drama and music were to round out the man. It wasn't what one did for a living. I got over that. To make films like 'X-Men' work commercially - and also have some class - is one of the hardest things there is to do. I want to be seen to be able to cross lots of genres and still be 'fair dinkum,' as we say in Australia, which means genuine and true and, well, unique. 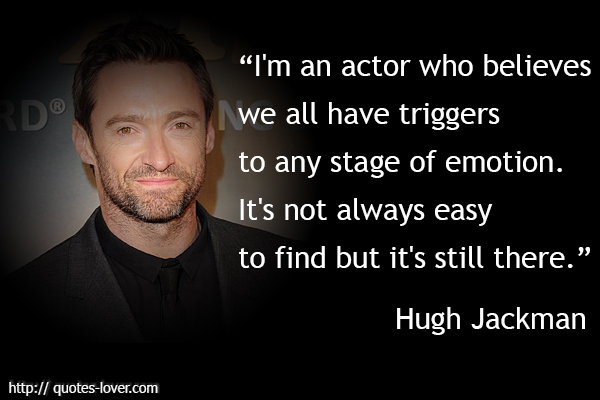 As an actor, you have many tools - your body, your voice, your emotions, mentally. In film, you have your eyes because they communicate your thought process. In fact, generally in film, what you don't say is more important than what you say. That's not so much the case for stage. At which point should we let go and do what we want to do, and when should we submit to rules? Coming to terms with our true natures and who we really are has always been a fascination to humans. I know it fascinates me. I have done many movies that people hadn't seen. 'The Fountain,' I spent a year on that. 'The Prestige' with Chris Nolan, and 'Australia.' From my perspective it's very satisfying. Some movies people see and other movies they don't. 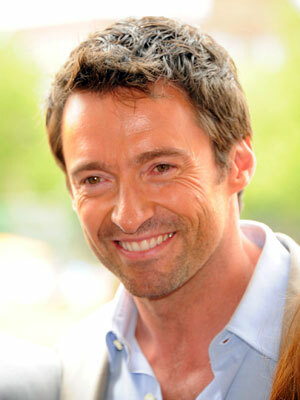 'Wolverine,' 'X Men,' I know that in some level people know me just for that and it's fine for me. I have lots of older siblings, and as they started to leave the house, I went from cooking once a week to twice, three times, and so on. After a while, it was just like making the bed. I was probably more scared of my high school exams than I was of the Oscars. At the time you think it's everything and if you don't do well, your life's over. Opportunities are gone. So the more you do it, the less the fear is present. I'm lucky to have worked in theater all over the world, but there's something magical about Broadway. The audiences are smart, they're educated. They go in ready and they're up for it, they're up for the party. It's a whole different atmosphere. The activity of being a husband, a father - those are roles, too, but underneath them is the spiritual center that connects us all, and that's what's most important. At the end of drama school, I made a contract with myself: I'd try acting for five years. I was 26. I had already spent eight years working in restaurants and gas stations. So I had seen enough small businesses to understand that that's what acting is: a small business. 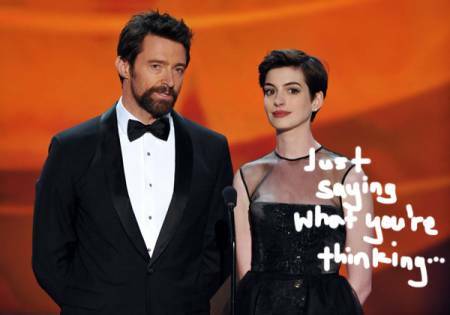 Comic book fans have loved Wolverine, and all the 'X-Men' characters, for more than the action. I think that's what set it apart from many of the other comic books. 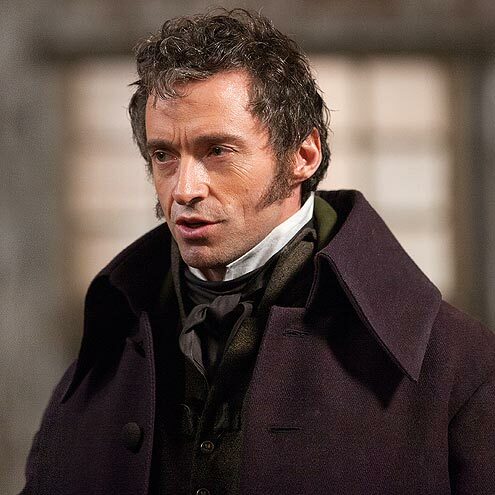 In the case of Wolverine, when he appeared, he was a revolution really. He was the first anti-hero. I don't think many actors are the best judge of careers. 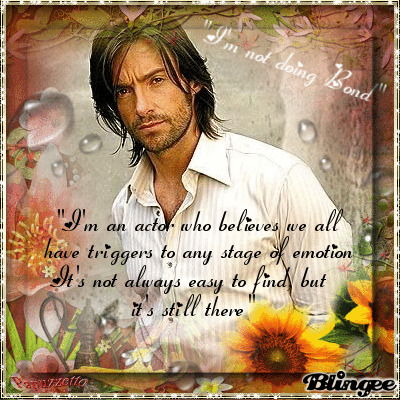 I think generally we have good instincts about what we can do in terms of acting. And often they become directors, which I don't want to be. I got hooked on espresso when I visited Italy at 18, but these days I prefer a 'flat white.' It's like a small latte with less milk - they're popular in Australia. I had a bad back for a couple of years. I had to do a lot of physiotherapy for it. What I couldn't understand at the time was why the therapists had me doing a lot of stomach work. I love New York... I think it's the best city in the world. As far as cities go, everything's there. I think it's so vibrant. I love the people, I think they're honest, in your face. If they don't like you, they'll say, 'Get out of my way,' if they like you they'll slap you on the back and support you. It's a very intoxicating environment to be in. I'm a mad lover of sport. You cannot say a bad word to me about sports. So I know business is involved and I know it can be cynical, and, of course, I watch it, but for me it's pure. I'm doing a new musical on Broadway, which opens in October called 'The Boy from Oz,' where I play Peter Allen. For those of you who don't know, he became first famous in America for marrying Liza Minelli. If I go to a party I don't feel like I have to be in the centre. But I do find myself quite often being placed in that position. Even when I was younger at school, I would be asked to make a speech. I don't remember putting up my hand and all that often but I'd just find myself there. If you ask my wife, the biggest fault is my inability around the house. She says the only thing handy about me is that I'm close by. And, I have a terrible memory. I'm bad at saying no. I often double-book. There are a lot of things. In terms of theater, there's not a more supportive theater community than in New York. It's really kind of a real thrill to go there. I mean, don't forget, I'm a boy from the suburbs of Sydney, so getting to New York is a huge, huge thrill. The last 10 years I have had to bulk up for roles and I'm naturally skinny, so I have eaten and killed so many chickens! I wouldn't even want to count. I need to balance that out. The moment your kid's born you realize no one knows anything. No one goes to classes. You just have a kid. You can read all the books you like, but unfortunately none of our kids have read the books so they don't care. You're basically making it up as you go along. There is anxiety, but it comes after you've finished filming because it's out of your hands; people are editing it, they're cutting it, marketing it. And it's... part your career sort of rides on that. But when you're actually filming it's a team thing and it really feels good there for me. Your wife is always right. Very simple. I think I'm going to get it tattooed on my forehead. As you get older you have more respect and empathy for your parents. Now I have a great relationship with both of them.